The HomeStyle loan is offered through Fannie Mae which provides borrowers a convenient and economical way to make moderate improvements on their home. The HomeStyle loan is a single-close loan that allows borrowers to purchase a home in need of repairs or refinance their mortgage on their existing home. If borrowers choose to use a HomeStyle loan, their lender will calculate the necessary funds for renovation costs into their total loan balance. The loan amount your lender will present to borrowers is based on “as-completed” value of the home, not the present. 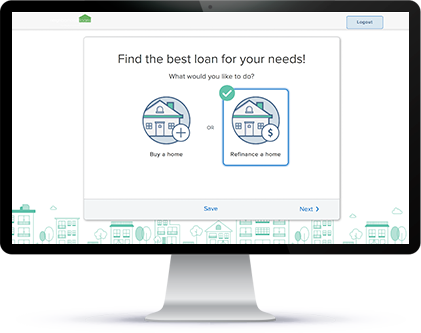 How does HomeStyle Loan work? The purpose of a HomeStyle loan must be purchased or a limited cash-out refinance. Borrowers that have a 1 to 4-unit principal residences, one-unit second homes or one-unit investor properties units, such as a condo, are eligible. According to guidelines, any type of renovation project is acceptable, as long as the repair permanently fixes the home and adds value. For refinance transactions, the LTV ratio is determined by dividing the original loan amount by the “as-completed” appraised value of the home. Mortgage insurance (MI) is required to be purchased based on a borrower’s LTV ratio calculation. Fannie Mae requires MI to be resolved prior to closing. Borrowers can either perform the renovation themselves or hire contractors to complete the job. Borrowers that choose to Do-It-Yourself must not exceed past 10% of the as-completed value. Fannie Mae requires to inspect all work items that cost more than $5,000. In addition, the property must be a 1-unit owner-occupied home. What is the HomeStyle renovation loan process? The HomeStyle loan is a Fannie Mae product that allows borrowers to purchase an eligible property that bundles the renovation costs into the mortgage. If investors decide to finance a HomeStyle mortgage, borrowers can expect to see similar guidelines as a conventional loan. However, only certain lenders are qualified to sell Fannie Mae products, so research which lenders are eligible. Once you have found a qualified lender, they can appropriately assist you during this process. The HomeStyle process requires borrowers to purchase a property that fits within their guidelines, such as a 1 to 4-unit property, one-unit second homes or one-unit investor buildings. Fannie Mae requires the property to be in need of moderate repairs. For the most part, there are not many restrictions as to what kind of repairs can be made. For example, borrowers can have windows repaired, doors replaced, bathrooms remodeled, the roof updated and much more. Straightforwardly, renovations done must permanently fix the home and add value. Most HomeStyle approved lenders require borrowers to hire a contractor and have an inspection on their property. The inspection gives lenders and borrowers reassurance that funds will be spent toward necessary renovations. Inspectors will evaluate the home and highlight any other issues that should be resolved. They can also suggest ideas on how to repair items. After you have given your lender the required documents, your lender will order an appraisal to be done. However, instead of a traditional appraisal, your property will be appraised based on “subject to repairs” or the “After Repaired Value” (ARV). The licensed professional will evaluate the property and conclude whether the planned repairs will enhance the home’s living and safety conditions. The ARV calculation is important because lenders need to verify that the mortgage plus renovation costs do not exceed the value of the property repaired. Most lenders will allow a lending limit of 80% of the ARV, or 80% of the cost of the property and renovations. Once the appraisal has been conducted and your lender has all of the required documents, the loan will enter the underwriting phase. After the underwriting process has been completed, the sale of the property is ready to be closed. However, this process usually takes 45 days or longer to close on the sale. If borrowers decide to use a HomeStyle loan, it is important to be patient during this process because it can take more time for the transaction to close compared to a conventional loan. When closing day arrives, so does the beginning of your renovation plans. It is important for you and your contractor to follow the outlined plan of your repairs. Your lender will not give borrowers an initial source of funds to begin renovation updates. Funds must come from the borrower or other resources. Once there is noticeable progress according to your SOW agreement, a draw request can be made for reimbursement. Typically, most HomeStyle loans allow borrowers up to five draws. After all renovation plans have been completed, borrowers can move into their newly constructed home! What are HomeStyle loan limits? What are Fannie Mae HomeStyle renovation loan limits? LTV ratios are commonly used by lenders to illustrate the ratio of a loan to the value of an asset purchased. To calculate your LTV ratio, take your mortgage lien and divide it by the appraised value of the property. For example, a borrower taking on a $40,500 mortgage to purchase a home appraised at 48,000 would have an LTV ratio of 84.38% (40,500 / 48,000). In this scenario, this borrower is 4 percent above the HomeStyle lending limit. What are HomeStyle contractor requirements? Borrowers that use a HomeStyle loan are required to choose their own contractor to complete the renovations. Once a borrower has found a contractor, their lender will review the selected professional to make sure they are qualified to complete the necessary renovations. Some lenders choose to base their decision off the Contractor Profile Report to make a more informed decision. Borrowers are required to have a construction contract with their selected contractor. Fannie Mae has created a Construction Contact that borrowers can use to officially document the deal between the borrower and contractor. According to Fannie Mae guidelines, all renovation plans must be prepared by a registered, licensed, or certified general contractor or architect. The plans must clearly describe what renovations are being done and a timeframe of completion, including the start and end date. If a borrower must leave the property during the renovation process, borrowers are required to have a payment reserve of up to six months. Borrowers have the option to finance this amount into their loan amount if the value will support their financing needs. This reserve is allowed only when homeowners cannot live in their home due to renovations. What is the difference between a HomeStyle and a 203k loan? A 203k loan is a mortgage insured by the Federal Housing Administration (FHA). This mortgage product allows future or current homeowners make renovations to the house they want or the existing house they own. Borrowers can use these funds to make simple or moderate renovations, such as updating the kitchen, installing a new roof or completing renovating the property because it is unlivable. The maximum loan limit borrowers can receive using a 203k loan is up to 96.5% of the appraised value. A 203k’s appraised value is based on the value when improvements and repairs have been made on the home. Lastly, a 203k loan requires borrowers to occupy the home as a primary residence, so secondary or vacation homes are not eligible. A HomeStyle loan offers borrowers and investors to buy a second home or renovate their existing home with a low down payment. The HomeStyle product is offered by Fannie Mae and allows borrowers to purchase a home or use a limited cash-out refinance, which enables borrowers to use funds to cover for renovation costs. According to guidelines, there are no strict restrictions as to what borrowers can do to renovate their property. However, the renovation must permanently fix the property and add value. Neighborhood Loans was great to work with or getting a home mortgage. This team was really quick to respond to any questions that came up, were constantly looking for better rates and on top of all issues that arose. Getting a mortgage is a lot of work. If you are looking for a mortgage broker for purchasing a home, I recommend Neighborhood Loans. They will make the process smooth and look out for your best interests. - Laurel M.
They helped me out with a 203K loan on my first property. Explained the steps of the process to me before and throughout, as well as being there through text, call, or email whenever needed. Definitely would recommend Neighborhood Loans if you're looking to purchase a home. My family definitely is happy with the new place. Thanks again! - Marcin C.